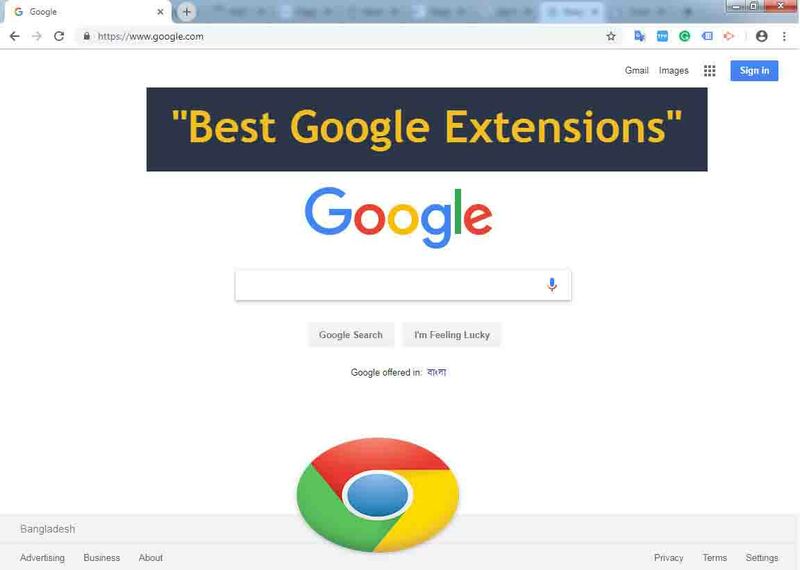 10 best google extensions that are Amazingly work - Ten Google extensions in various categories these add-ons are all free to use and amazingly useful can make your web browsing easier and more productive. If you use like a chrome types browser like as opera or Vivaldi Chrome extensions can be used those browsers as well. Amazingly useful can make your web browsing easier and more productive and add-ons are all free to use. full page screen capture extension to take a screenshot when it's done it will open in a new tab with the screenshot of the entire web page you can save this image to your computer by selecting download here at the top if you select options you can change the default image format your choices are PNG and JPEG many of you are probably familiar with. DuckDuckGo the search engine that doesn't track you in addition to searching privately their privacy essentials extension. It will force encryption when available block trackers and assign a privacy grade. Loom screen and video recorder completely free to use for all. Record your screen and web chat at the same time hassle free easy to operate. After using this plugin you will be a great fan of this plugin. Cool extensions of Panda 5 put all sites in one tap so no need to open multiple taps. Chrome I like that it has all the websites organized along the Left selecting a theme will show articles for that site to the right which can be easily opened by selecting the article. If you have friends or business associates around the world box clocks is useful for showing you the current times in different cities without having to do a search. Fox clock let you know around the world time by putting a small clock in your status bar. Mercury reader cleans up that page to show you easily readable versions of that webpage without all the distractions when you're reading an article. let's take a look at this page from a popular website there's a lot going on here to clean things up click the mercury reader icon here in the upper right and as you can see now there's less noise on the screen to distract you. Are you a content writing or do typing without grammar mistake. Yes Right, Grammarly easily installs a plugin and show your magic writing spell and web post also Gmail, Facebook, Tumblr, Twitter. If you mistakenly type misword but this plugin suggests you correct grammar word. See ads on the website, going to download the movie but forcedly to show you ads very disgusting feeling at that time or busy to close the window by clicking the mouse button. A solution for you Adblock block the ads from youtube, facebook. Simply install this plugin automatically disappear ads and get rid of as a headache. I think this "8 best google extensions that are Amazingly work" article make your browsing experience so much easy. If you think so please like and share my article.